Digital Transformation is driving Agile, DevOps and the move to cloud-based technologies. These activities, in turn, are driving the need for a stronger security. Digital Transformation itself, customer-driven, software-empowered. How organizations build and deploy software rapidly to keep up with ever-changing customer demands, ongoing technology innovation, and the relentless pace of competition. The weakest link: Security. 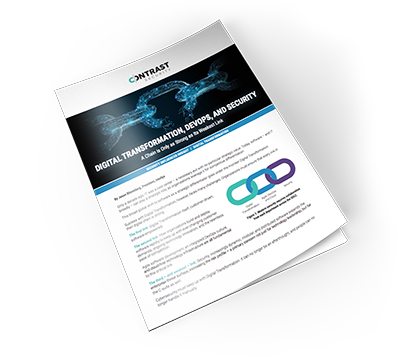 Increasingly dynamic, modular, and distributed software expands the enterprise threat surface, increasing the risk profile – a primary concern not just for technology leadership, but for the C-suite as well.